Djurgården’s skyline wouldn’t be the same with out the towering carousel Eclipse and the glittering Icarus. These are, of course, two of the most recognisable theme park rides at Gröna Lund. It is a wonderland of fun, music, games, tivoli and junk food. 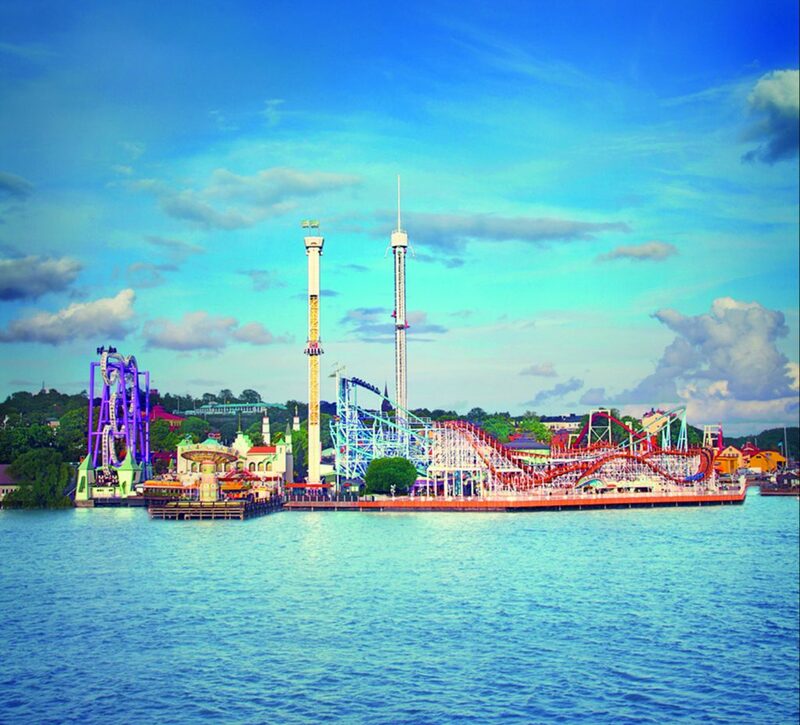 Gröna Lund has a loads of different things to do for kids, adults, teenagers and tweenies. It’s a “something for everyone” sort of thing. BUT, it can get pretty noisy sometimes. On the plus side, it’s really well planned out and unlikely that someone could go missing. Just in case, however, they hand out these brilliant arm bracelets with your number and name on it. Cleverly, they don’t put the kid’s name on it. With regards to pricing, they do some brilliant deals and if your likely to head to the theme park more than once, get the annual card. It’s only 250 sek and you’ll get that back in 2 visits. Plus, if you get the park entry card you can see all of the free concerts they host during the summer on their live music stage. Previous acts have included Johnny Depp, Elton John, Ghost, Zara Larsson, Foo Fighters, Red Hot Chilli Peppers etc. You can get to Gröna Lund by tram, boat and by bus. It’s brilliantly easy to get to. We’d recommend going by boat. Get off the bus or tube at Slussen and head to the SL ferry which takes you to Skeppsholmen – Djurgården. You can find out more about Gröna Lund, the pricing and annual passes on their website.